I was in a rush this morning, and had to grab a quick CLIF bar quasi-healthy breakfast. 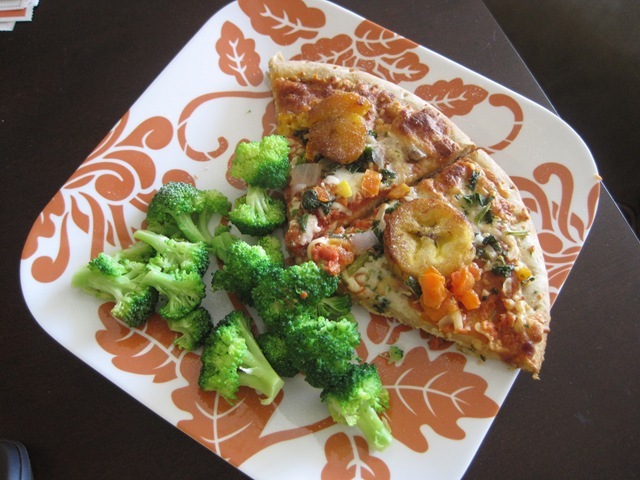 I would prefer to eat real food, but it’s better than not eating at all! With exactly twenty minutes to run, I managed to squeeze in 2.3 miles! 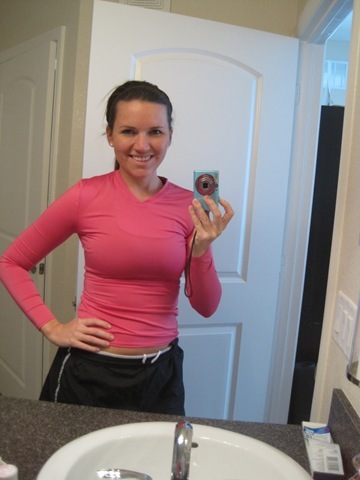 I even busted out the long sleeve running shirt, which was totally unnecessary. I bought it two winters ago, but I’ve only worn it on 1.5 runs!!! (Usually gets to hot, so I take it off, LOL). 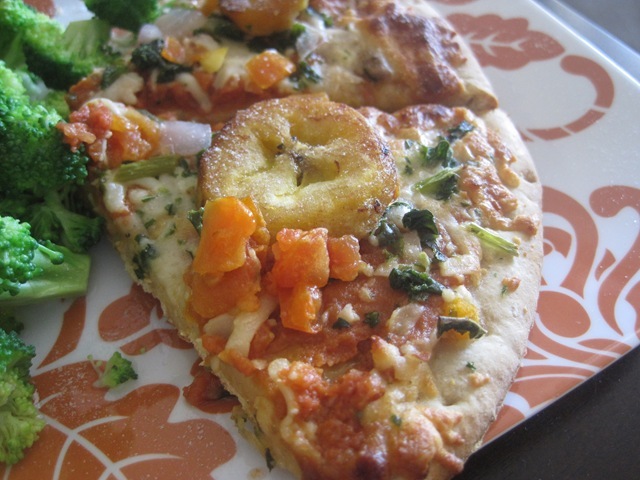 When I got back, I decided to make the frozen Kashi pizza that’s been taking up room in my freezer. Everything was going great… until I loaded up my plate to bring to the table for a photo shoot. 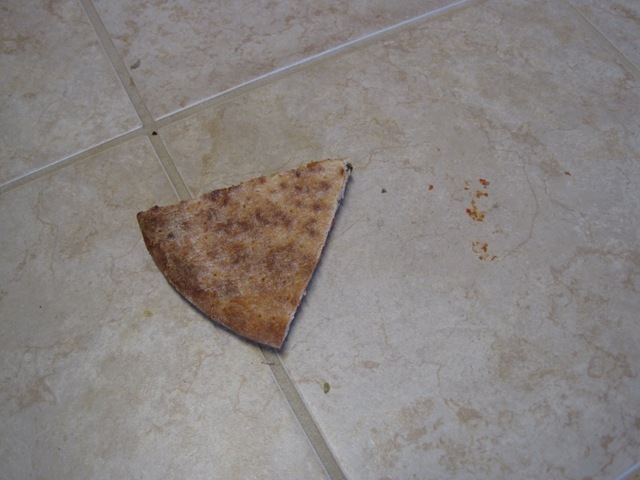 BAM… Pizza slice slides of plate, and onto the floor. LAAAAME! I still had two, which seemed to fill me up just fine. 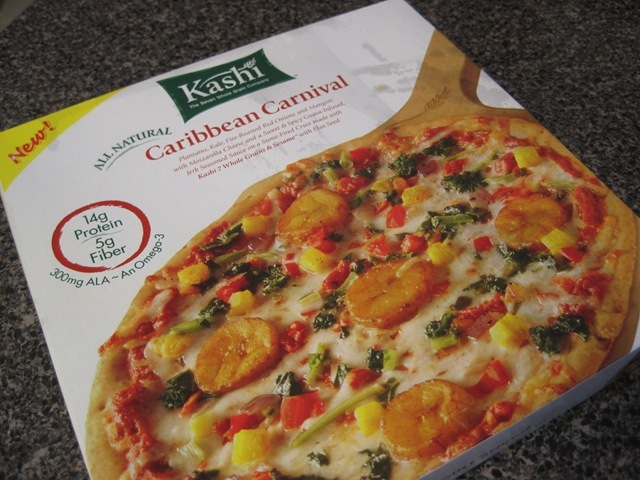 The Caribbean carnival pizza had a very unique flavor. I really liked it! Meghann said that it would be fine to eat it off the floor (we are g-chatting) but I just couldn’t do it. 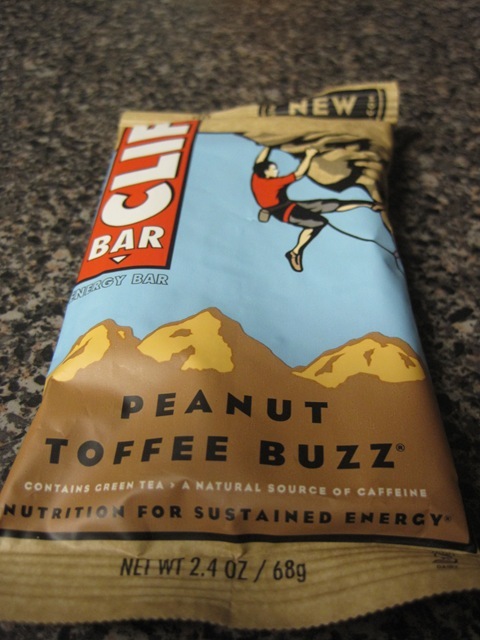 At my old job, the airport, I once opened a CLIF bar wrapper with a little too much force, and it flew straight out of the package, 2 feet in the air, and smack onto the carpet. Germs from all over the world got on that sticky little block of goodness. I’m ashamed to admit that I ate that germ-flavored CLIF bar. My co-workers (all males) asked, “are you going to eat that?”… They wanted it!!! I would NOT have eaten it, if I wasn’t starving. That job required TONS of physical labor, and the only food option was Burger King. OH man. What’s the grossest thing you have ever eaten off the floor? I hope you didn’t just lose your lunch.